Ransome E. Olds set up the Reo Motor Car Company in 1904 after he had left Oldsmobile and produced a fine range of passenger cars until 1936 (see Reo). 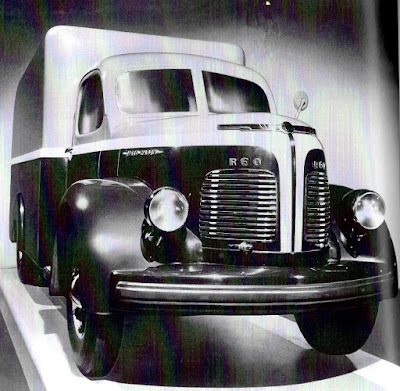 Some commercial vehicles using Reo passenger car chassis were built in the early years of Reo production. 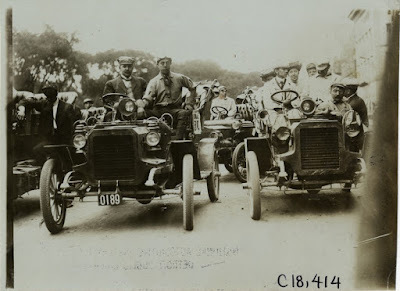 Full Reo commercial vehicle production began in 1908 with the introduction of a light truck on an 8hp single-cylinder chassis and a four-cylinder truck appeared in 1911. Reo entered the heavy-duty truck market in 1913 with a 2-ton model which was in production until 1916. 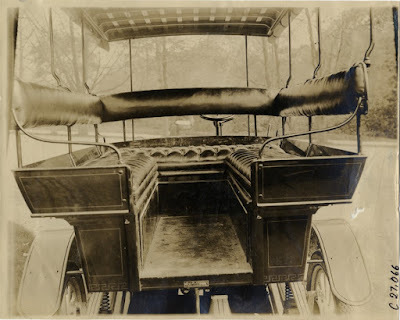 The truck had electric lighting and electric starting which was a first for the truck industry in America. 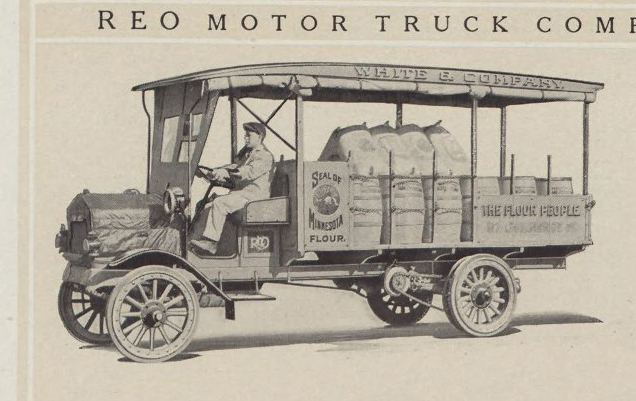 The best selling Reo truck was the 1-ton Speedwagon introduced in 1915, which continued in production with modifications until the late 1930's. By August 1919 around 20,000 Speedwagon trucks had been built, making Reo the largest builder of pneumatic tired trucks at the time. A six-cylinder Speedwagon appeared in 1925 when Reo decided to produce buses. In 1929 a Junior Speedwagon was introduced and the six-cylinder Gold Crown engine arrived in 1934. Between 1936 and 1938 Reo built a range of trucks for Mack, called Mack Junior (see Mack). Production of Reo buses continued and a line of rear-engined buses called Flying Clouds were built from 1939 to 1942. However, bus production eventually ceased in the late 1940's. 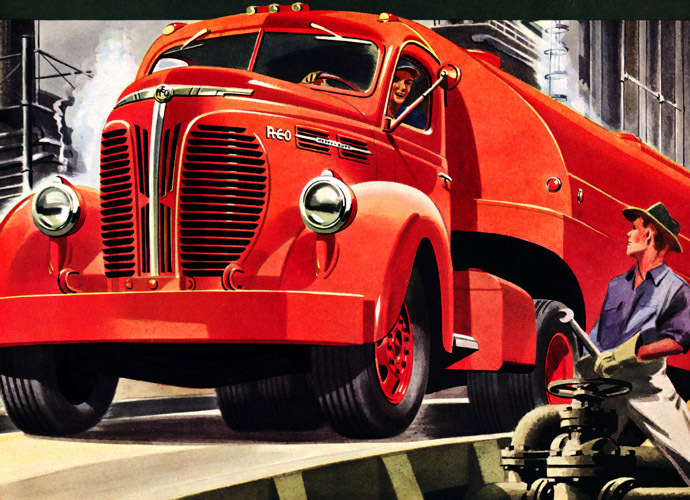 During World War II Reo built military buses and trucks. After the war, Reo introduced the Gold Comet engine for their trucks and for the 2-1/2-ton 6x6 Eager Beaver, which remained in production for many years. White acquired the Reo truck business in 1957 and purchased Diamond T the following year. White consolidated Reo and Diamond T in 1967 and the trucks were renamed Diamond Reo. From about 1907, Reo passenger cars displayed the Reo name using a brass script attached to the radiator core, see example radiator script shown below. It is possible that some Reo commercial vehicles built at this time also displayed a Reo radiator script but I cannot confirm this. Genuine original Reo scripts are scarce. 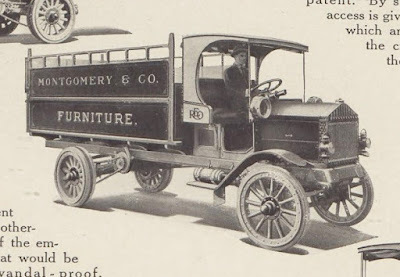 The earliest radiator emblem used on Reo commercial vehicles was a painted brass nameplate, see example above at the top of this post. This Reo radiator emblem was used on Reo passenger cars from 1907 and may have been used on some Reo commercial vehicles at this time, but I cannot confirm this. This radiator emblem was in regular use on Reo light delivery trucks from late 1910 to late 1915. This Reo radiator emblem is scarce. In October 1915, the Reo light delivery truck was replaced by the new Model F 3/4-ton Speedwagon, which carried a white, blue, red and black enamel radiator emblem similar to the emblem shown below but marked "Reo Motor Truck Co" rather than "Reo Motor Car Co". I do not have a photo of this Reo radiator emblem, which is extremely rare. If you have such a photo, please send me a copy in order to up date this post. The Reo Model F Speedwagon radiator emblem was changed to "Reo Motor Car Co" in September 1916, see example below. This Reo Model F Speedwagon radiator emblem is scarce. In 1920, the Reo Model F Speedwagon radiator emblem lost the "Model F" name, see example below. This Reo radiator emblem was also used on Reo passenger cars and is relatively easy to find. Reo Speedwagon trucks from 1922 to about 1926 also displayed "REO" scripts on the ends of the cylindrical fuel tank in the driver's cab. 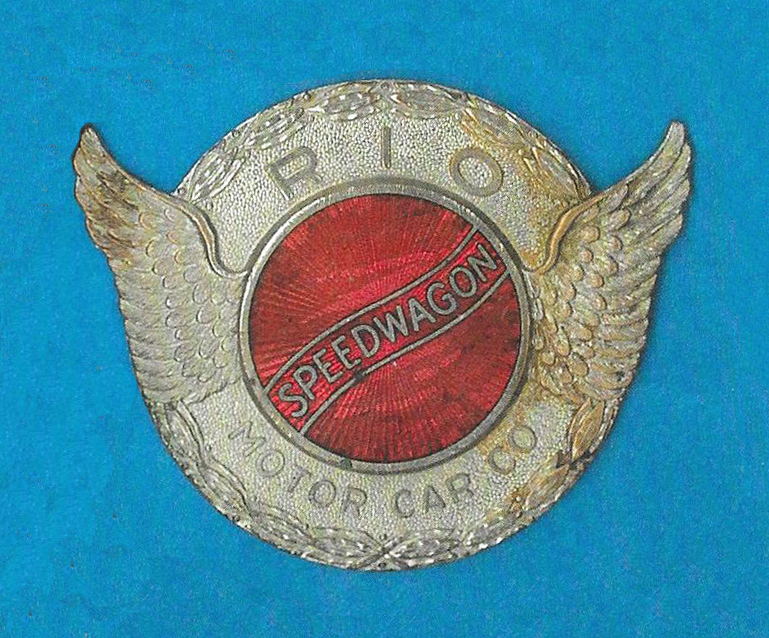 The following "Rio" variation of this emblem was used on Reo vehicles exported to South America. This Rio radiator emblem is very rare. The small white, blue and red enamel Reo emblem shown below closely resembles the design shown above and includes the "Gold Standard of Values" slogan. 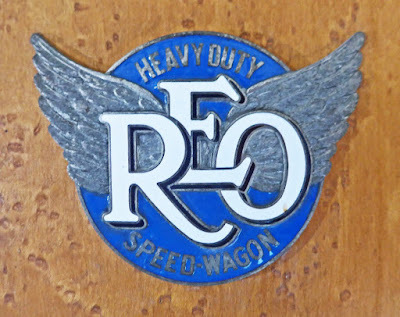 I do not know, if this Reo emblem was actually used on any Speedwagon trucks. Because of its small size, it may have been used as an advertising piece to promote Reo Speedwagon trucks. If you have further details of the use of this Reo emblem, please let me know, in order to update this post. The emblem shown below is slightly dished and the back is almost totally covered in solder. If you have further details of the use of this Reo emblem, please let me know, in order to update this post. The emblem shown above is slightly dished and the back is almost totally covered in solder. The following radiator emblem was used on the Reo Model G 2-ton Heavy Duty Speedwagon introduced in 1925. This Reo Heavy Duty Speedwagon radiator emblem is scarce. 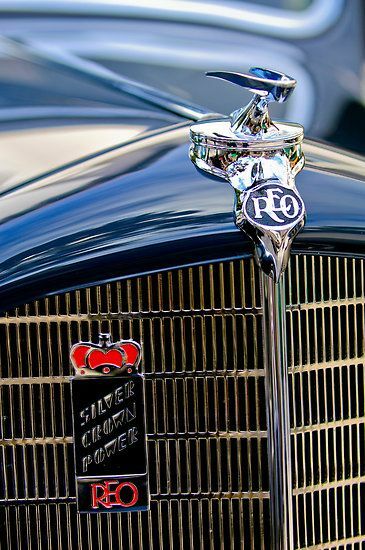 A new Reo Model F Speedwagon was introduced in 1926 and carried the following radiator emblem. This Reo Speedwagon radiator emblem is scarce. The following Reo radiator emblem was used on Speedwagon models in late 1926 to early 1927. This Reo Speedwagon radiator emblem is scarce. The following white and two shades of blue enamel Reo emblem is a bit of a mystery. It has been seen attached to a metal bracket, possibly used for the attachment of a lamp or licence plate. If you have details of the use and dates of use of this Reo emblem, please let me know, in order to update this post. This Reo emblem is rare. The Reo truck and bus radiator emblems shown above are all scarce. The following Rio Speedwagon radiator emblem was used for models exported to South America and is rare. The Reo script shown below is believed to have been used on Reo Speedwagon Junior 1/2-ton models from 1927. This Reo script is rare. 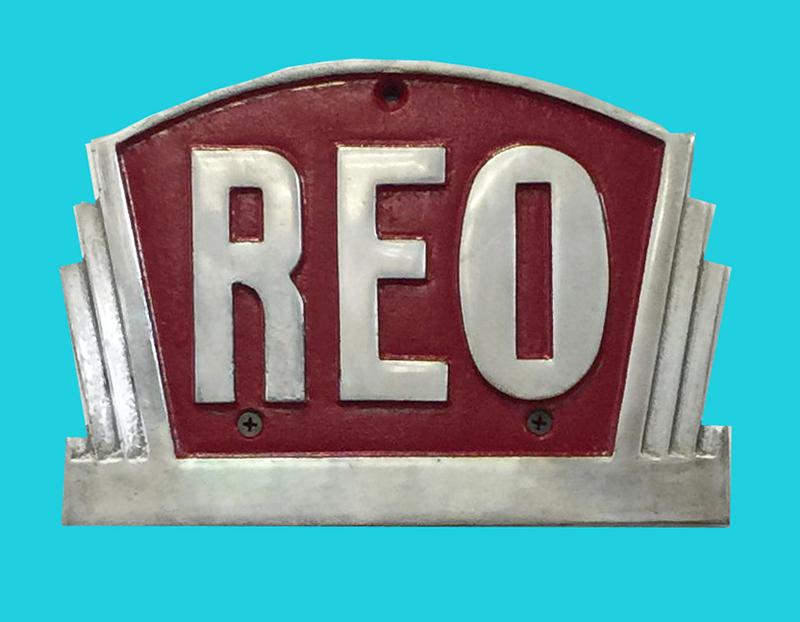 The following red and white enamel Reo radiator emblem was used on the 3-ton Heavy Duty Speedwagon model introduced in September 1927. This Reo Heavy Duty radiator emblem is scarce. A black and white version of this Reo Heavy Duty Speed Wagon emblem has also been reported but I have not seen this version. If you have a photo of a black and white Reo Heavy Duty Speed Wagon radiator emblem, please send me a copy in order to update this post. A new range of Reo truck radiator emblems appeared in 1929, see examples shown below. These Reo truck emblems are rare. The following black and white enamel radiator emblem was used on all 1930 Reo commercial vehicles except for Junior models and light panel trucks. This Reo truck radiator emblem is scarce. The following Reo emblem has been seen. It has a shape that is indicative of the Reo truck emblems shown above but is a mystery. If you are aware of the use of this Reo emblem, please let me know, in order to update this post. Reo 1-1/2-ton Speedwagon truck models carried the following cast radiator emblem from May 1931. This Reo truck radiator emblem is scarce. 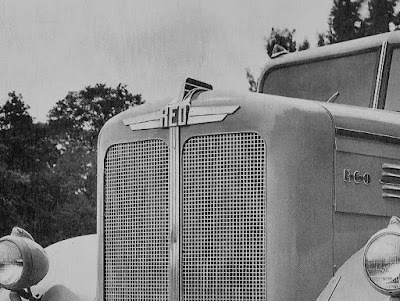 Most other Reo trucks carried a revised radiator emblem design, see example shown below. This Reo truck radiator emblem is scarce. The following Reo radiator emblem was used for Reo buses in 1931. This Reo bus radiator emblem is scarce. Reo Heavy Duty Speedwagon and bus models carried a new radiator emblem design in 1933, see example shown below. This Reo radiator emblem is scarce. A pressed metal version of this Reo emblem was used on the 3/4-ton BN model Speedwagon, see example below. This Reo radiator emblem is scarce. The following pressed metal combined radiator emblem/hood ornament was used from 1933 until mid-1936 and appeared on all light Reo trucks except for models with a flat radiator. 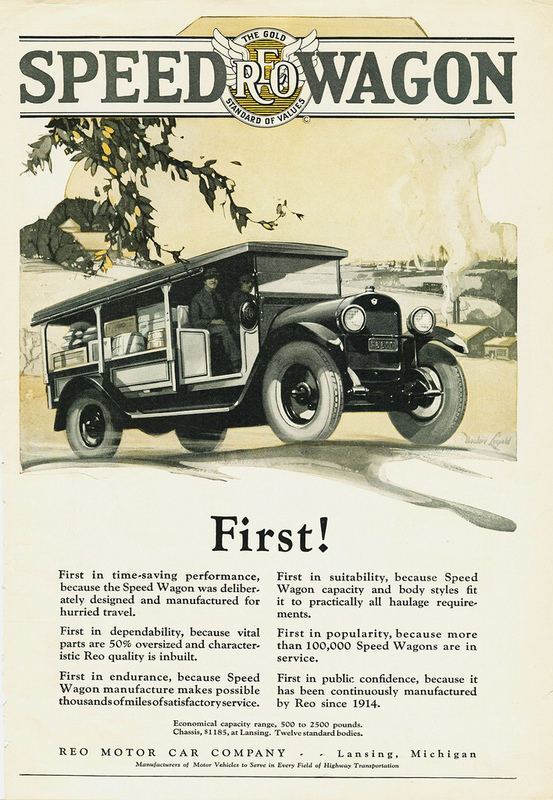 From 1933 also, Reo Speed Wagons carried the nameplate shown below on both sides of the hood. This Reo Speed Wagon nameplate is scarce. 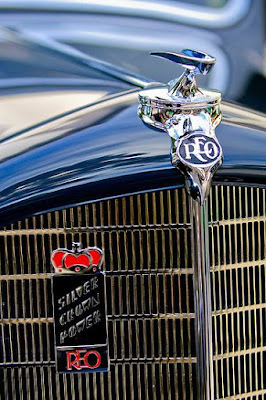 The 1935 1/2-ton Reo Speedwagon Model S4P had a similar styling to earlier Flying Cloud passenger cars and displayed the combined radiator emblem/hood ornament shown below. The grille emblem indicates the engine type, as further described below the photo. 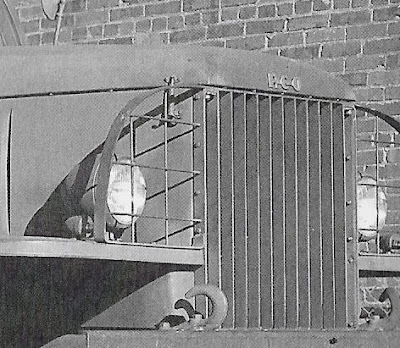 From June 1936, new streamlined Reo truck models also carried the following emblems mounted on the left side of the radiator grille when facing the front. These radiator emblems indicate the type of engine and are scarce. 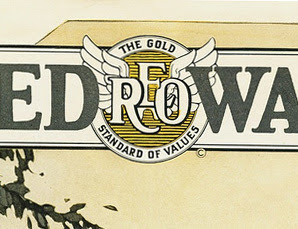 The Reo Speed Delivery nameplate shown below was displayed on the sides of the hood on 3/4-ton delivery trucks. This Reo Speed Delivery nameplate is scarce. The Reo Heavy Duty truck range used a different radiator grille emblem and hood side nameplates as shown in the following examples. The Reo Heavy Duty Truck radiator grille emblem is rare and the hood side nameplate is scarce. The following hood side nameplate is from a Reo Safety Bus. This Reo nameplate is scarce. The Reo script shown below was displayed on the front panel of rear-engined Reo parlor and passenger transit coaches from 1937. This Reo script is scarce. 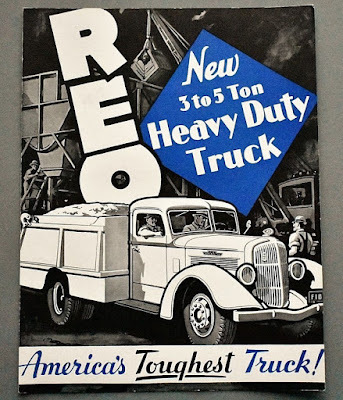 Reo factory illustrations and photos from 1939 show the new range of Reo trucks with "REO" hood side scripts using individual letters, see example below. I do not know, if these "REO" scripts were ever used on production trucks. The small "REO" script with the letters joined by a bar shown earlier and used since 1940 was also displayed further back on both sides of the hood. The following Reo emblem was used on both sides of the hood on Gold Comet trucks from 1955 through 1956. The radiator displayed the "REO" letters horizontally either above or below the radiator grille. The following Reo emblem is a mystery. If you can identify this emblem, please let me know, in order to update this post.